Steve Herrmann, editor, BBC News Online; Anthony De Rosa, social media editor, Reuters, Duncan Hooper, managing editor, news and sport, MSN UK and Momoko Price, communications director, BuzzData discuss key issues, including adopting a ‘digital first’ mentality, the values and standards of the link-economy and the role and responsibilities of journalists and news organisation as active members of the open-web community. Image by Arthur40A on Flickr. Some rights reserved. Moderated by Torin Douglas, media correspondent, BBC. 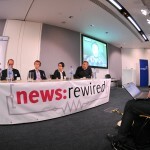 Collaborative data platform BuzzData has been named as the latest sponsor of Journalism.co.uk ‘s news:rewired – connected journalism conference, on 6 October. 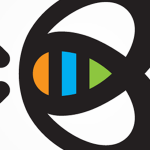 Communications director Momoko Price will join the final panel of the day to discuss the future of collaboration in journalism and how journalists can make the most of the open web environment, share data and encourage greater transparency through greater accessibility and awareness of information.